Description: A pair of 14k gold standard screw backs for wide threaded posts. 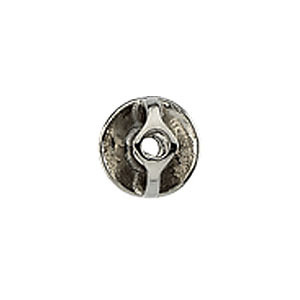 These have the largest hole size available and are double threaded screw on earring backs for thick threaded posts. Fits threaded post of .044". Available in 14k yellow or 14k white gold. Sold by the pair.